1). 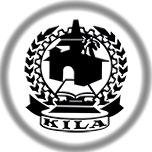 What is KILA Web Mail? Ans: KILA is currently offering a hosted Email solution for Our Staff & Our Research Scholars which includes email, calendar, and chat through G Suite,Integrated communication and collaboration solution. 2). How to request a new KILA eMail ID? The applicant has to make a request in the prescribed online form to the IT department. The IT Department will verify the application and will issue the Mail ID Kit. The mail with the password for opening the account will be sent to the applicant’s present Email ID.